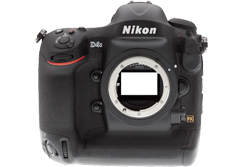 Following Nikon’s announcement in November 2015 about having developed of a new flagship FX-format DSLR, rumors about its specifications have abounded. Well, speculation can now cease, as the Japanese manufacturer has officially launched the new Nikon D5 with some mouth-watering performance capabilities for the professional photographer. Now that the World Cup is underway in Brazil we thought we would turn out attention to well-known two teams battling at the side of the pitch. In the white strip we have the Canon EOS-1 D X and the Nikon D4S are sporting all black. Read on to see for yourself how these two teams compare and how well they perform when put to the test.